Wendy’s has a new chicken sandwich called the Crispy Dill Chicken Sandwich. Aside from laughing every time we see the word ‘dill,’ we decided to give it a shot. Yes, it appears that this culinary creation is part of Wendy’s “value” menu. Wendy’s “value” menu is a joke these days. Denny is old enough to remember when the Double Stack was a buck. Now, it is $2.40. For a friggin’ VALUE burger. 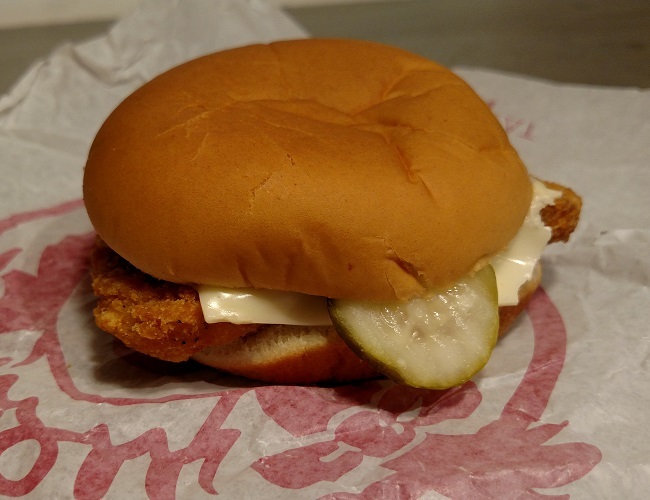 Still though, this chicken sandwich is more reasonable at a $1.49. …it is wrapped like a “value” menu item. For once, the sandwich isn’t completely crushed. 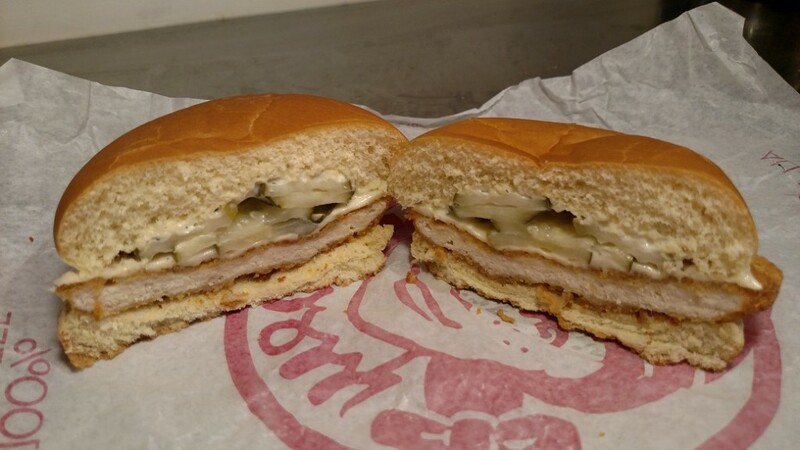 Herman actually tested the sandwich the other day, and he says there are WAY too many pickles. He describes it as, “Too much.” We think there were more on his than on our test sandwich that is in the pictures. The pickle flavor can be a little overwhelming. Consider that most chicken sandwiches have two or three pickles. This is a bit much. What? What’s that you say? This IS a dill pickle sandwich?? Yes, we know. But there is still such a thing as overload. The cucumber dill sauce might as well just be called mayonnaise. There isn’t very much sauce on it. And even when trying to taste the sauce by itself, we don’t taste cucumber at all. 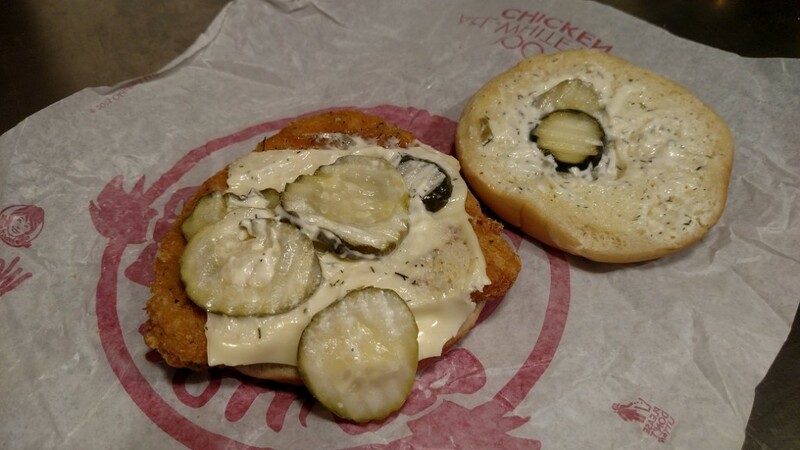 The pickles overpower the sauce to the point that you can’t even taste it. The cheese might as well not be there, either. It has absolutely no flavor. It cannot be detected at all. We don’t know what kind of cheese it even is. It doesn’t matter though. Because in terms of flavor, it doesn’t exist. Now, on to the chicken. 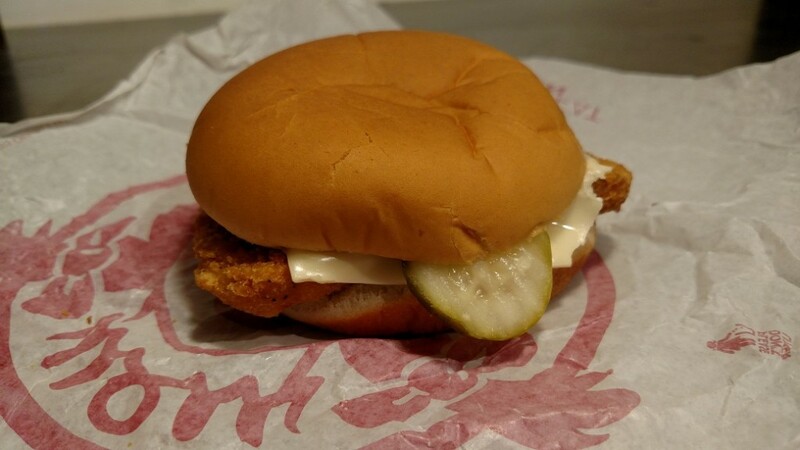 This isn’t a chicken breast like the kind on Wendy’s regular chicken sandwiches. That doesn’t surprise us. After all, those sandwiches cost almost 7 bucks. So we really didn’t expect it to be like those. These chicken patties are like the pre-made, frozen patties you get at the grocery store. The breading is plain. It is clearly made from bread crumbs, unlike the premium chicken sandwiches which seem to have a batter. The chicken itself is certainly processed. If the sandwich gets cold at all, it gets chewy. Overall, the chicken is pretty bad. It is an oversized frozen chicken nugget. Blech. The pictures on the website show lettuce. None of our three sandwiches over two days had lettuce on them. Thanks, Wendy’s. Way to save 10 cents! To summarize, this “masterpiece” tastes like a frozen chicken sandwich that you get at the grocery store with tons of pickles on it. It simply is underwhelming. For a buck and a half, we would have thought it would be better. 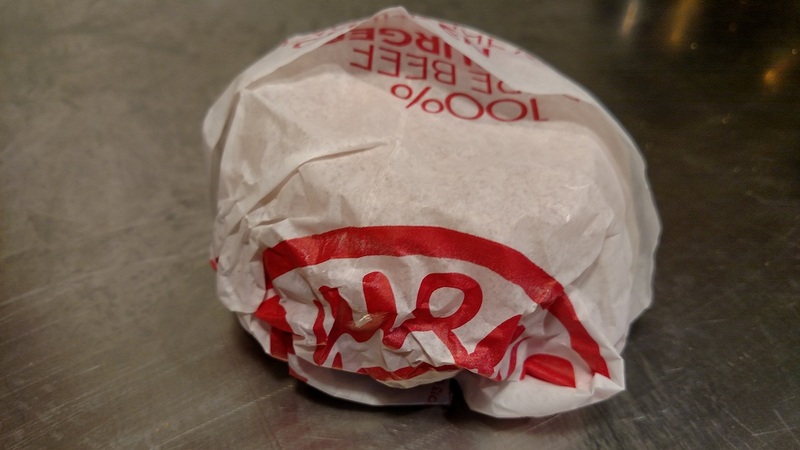 Wendy’s is pricing itself out of the fast food realm. And even though this sandwich isn’t that expensive, it isn’t even worth the extra fifty cents. Go get a McChicken for a buck. You’ll thank us not only for saving you 50 cents, but also because you will enjoy the McChicken more!